The Observation Post dropped into Kelmarsh on Saturday 20th July. The Battlefields Trust were there in force. Their stand in the main exhibition tent was well staffed and very busy throughout the day. Well done to all the team who were busy signing up new members of the Trust. 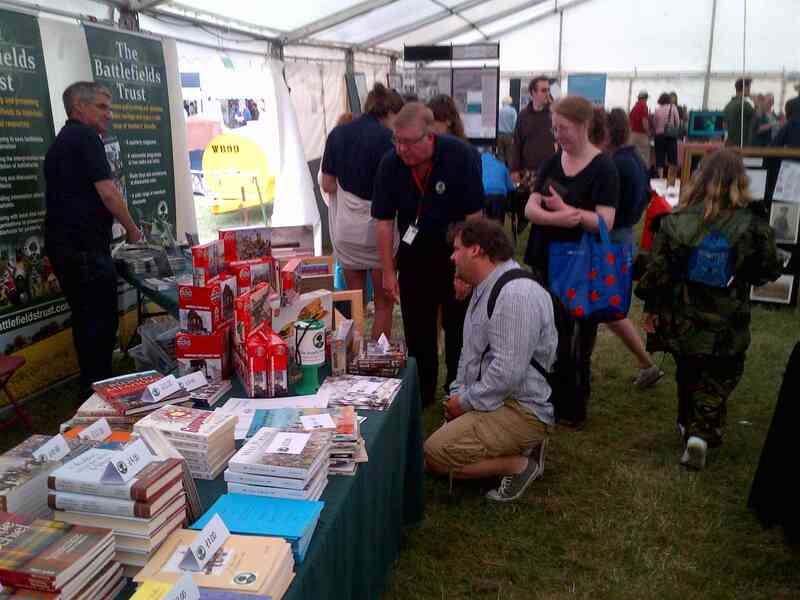 Development Officer Julian Humphries and the Trust’ Shop: Books and toys for boys and girls of all ages! 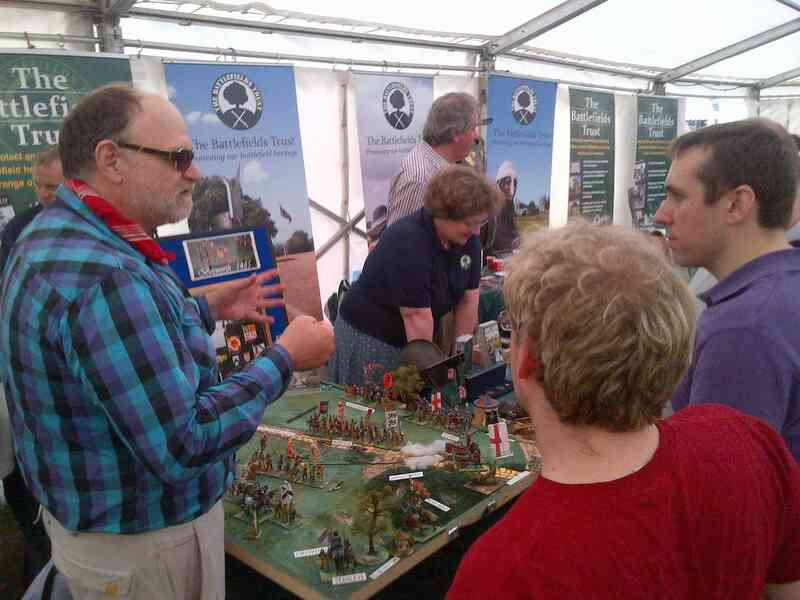 Mike Ingram’s Interpretation of the Battle of Bosworth, based on the findings from the Battlefield Trust’s Archaeological project 2006-2010. 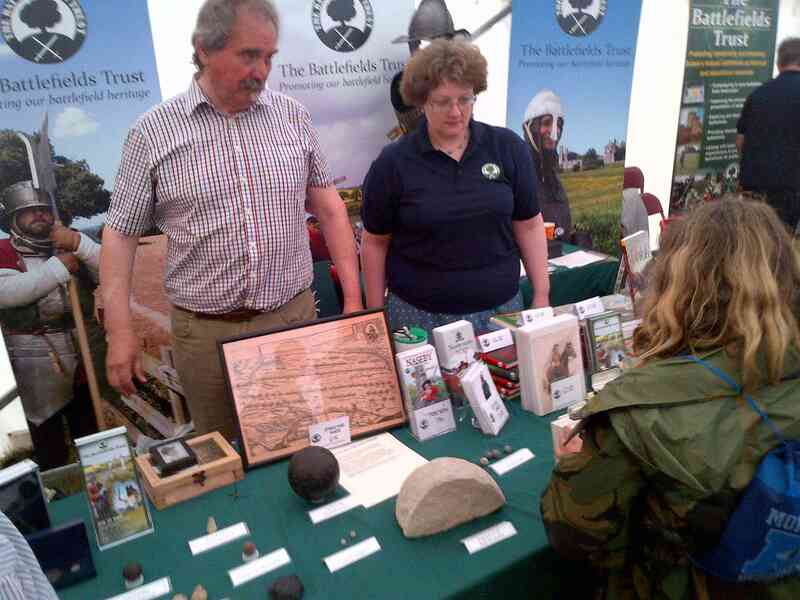 Alan and Nicola Turton (Wessex Region) with some of their collection of civil war and other archaeological finds.